On Monday evening, I attended my first bloggers event in London, I’ve wanted to attend an event for ages but being based in the Midlands I’m always unavailable. 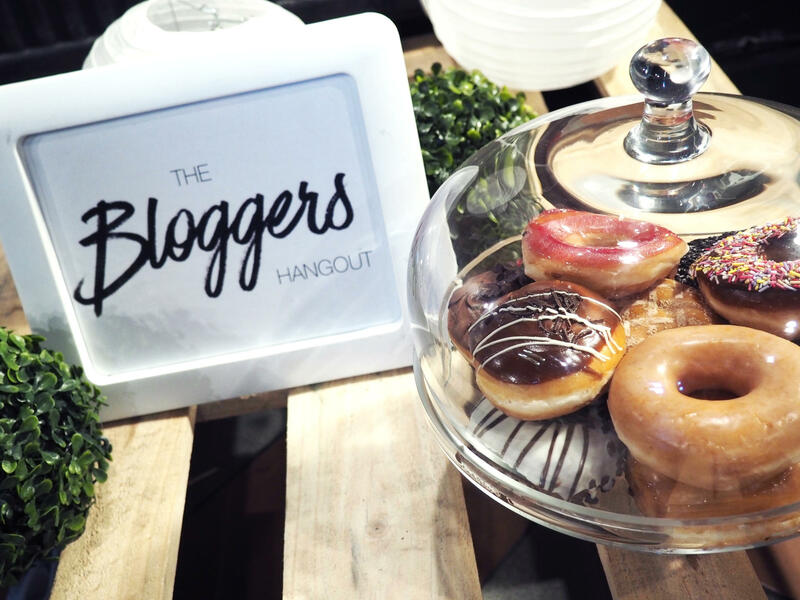 However this time I was free and made the trip down to London, the event was hosted by the bloggers hangout team in the pop-up patio, in Finsbury park. The event was a bloggers tea party and was supposed to be a mad hatters tea party theme, however there wasn’t a theme present on the night which was a bit disappointing but I didn’t let it ruin my experience. The pop-up patio was a small but cute location that housed all the brands that came along. The majority of the brands were promoting healthy food or drink alternatives and I was really interested in how most of them were made. Snact is made from ‘surplus produce’ which is essentially produce that would be thrown away for being too small, big or ugly. 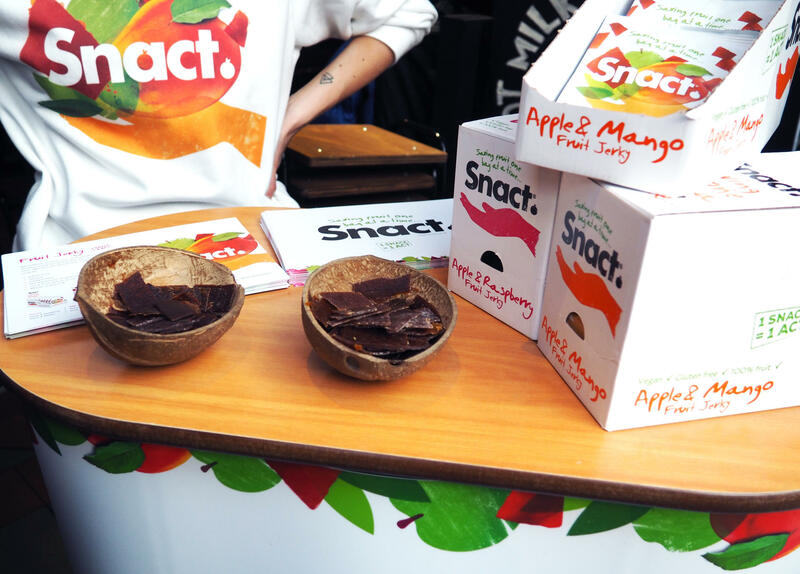 Snact turn perfectly good produce into healthy and fun snacks, that count towards your 5-a-day. I tried the apple and raspberry flavour and it felt a bit sticky but was full of flavour. I was given the apple and mango flavour to take away, which I’m still yet to try. 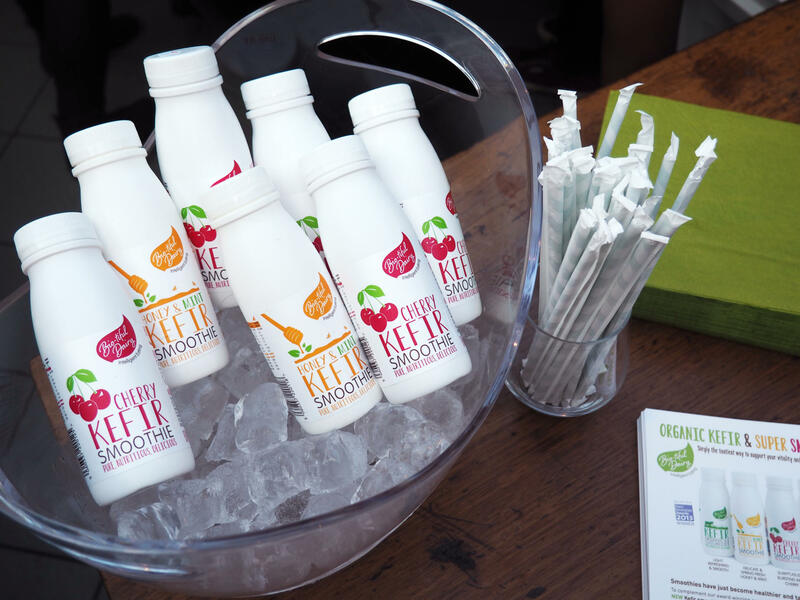 Bio-tiful Diary are an organic smoothie brand that have a tonne of health benefits packed inside each bottle. I took home their cherry flavour, I haven’t yet tried it out but I’ve heard that it has a thick texture and the Honey and Mint flavour is a required taste. I’m excited to try this out, as I think it would be a great on-the-go breakfast idea. 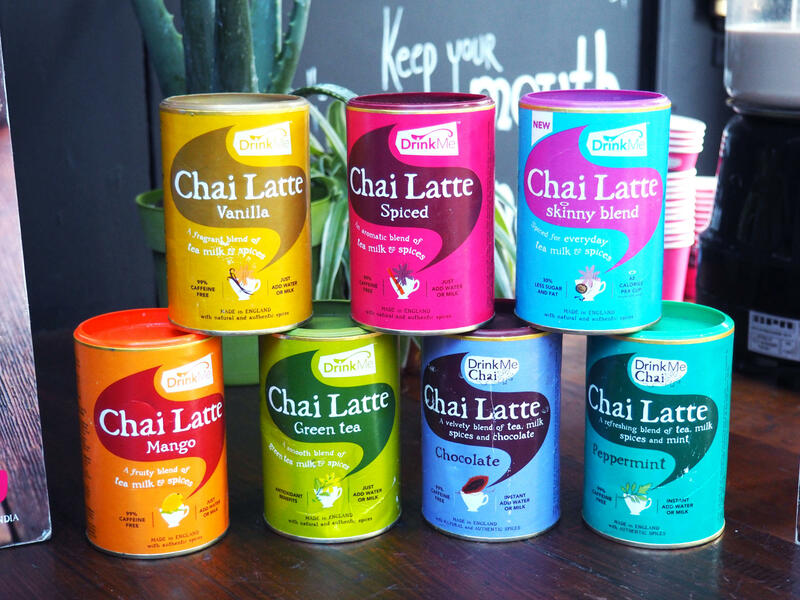 I have always wanted to try Chai Latte products as I know they are quite popular with people who don’t like to drink caffeine. Drink Me Chai is 99% caffeine free and have a wide range of different flavours. We got to test out the Spiced range, which I think is the most popular, the lovely women said that she made it with hot milk but it can also be used with water or a mixture of both. It comes in powder form so just as you’d make a hot chocolate or coffee just mix the powder with your choice of liquid. I’d opt for milk because I think it gave it a really nice creamy texture and I surprisingly enjoyed it. 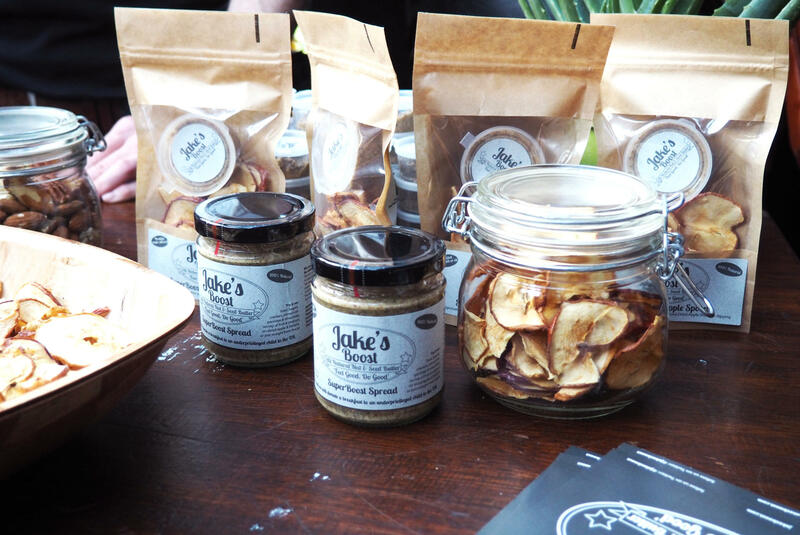 Jakes Boost is a super boost spread, which is made up of cashews, brazil nuts, walnuts, almonds, sunflower seeds, pecans, flax seed, chia and hemp. I’m not one to eat a lot of nuts but I do like peanut butter, therefore Jake’s Boost is essentially a healthier alternative to peanut butter. When I sampled some it was a lot sweeter than I thought it would be, the guy at the stand was saying that they use it on and in pretty much everything. On toast, crumbles, cakes, in cooking for extra texture and flavour, the list is endless. This was one of my favourites from the night, as I mentioned above I really like peanut butter. 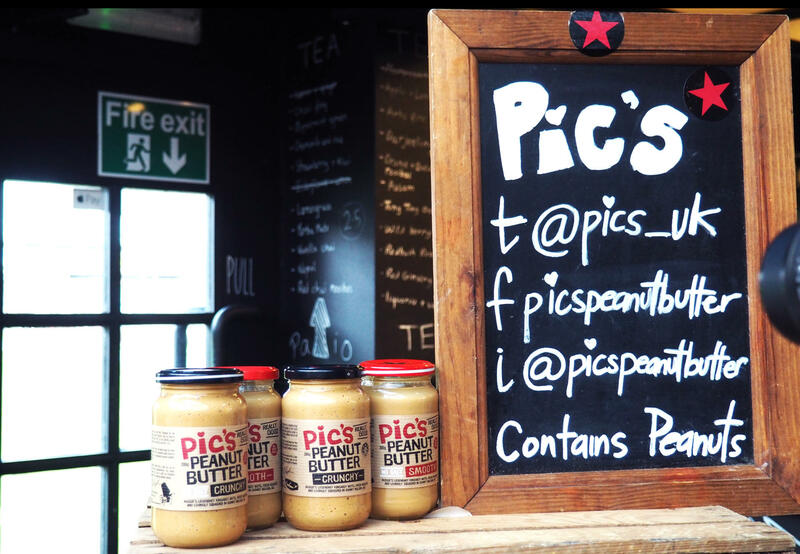 Pic’s is a brand from New Zealand, who have won awards for being the healthiest peanut butter. They have two different types, one that contains salt and one without, they also have each type in crunchy and smooth. 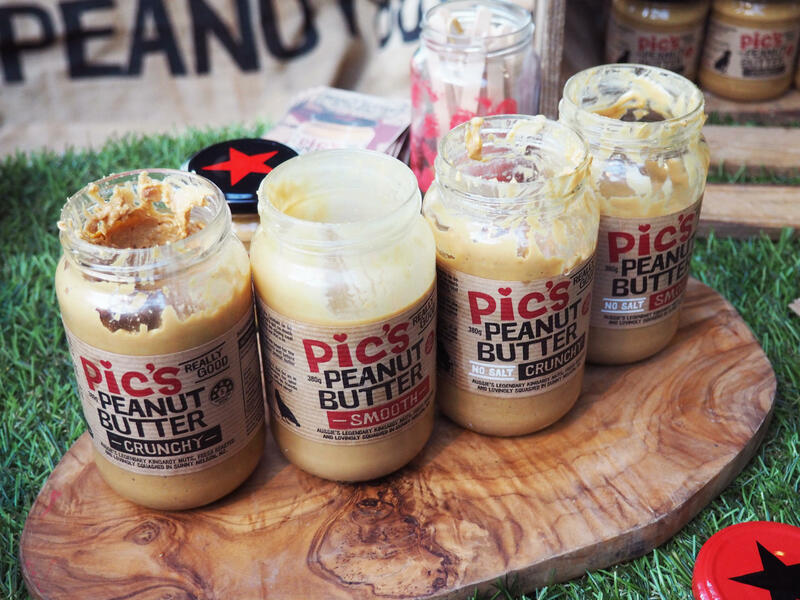 I do normally go for smooth peanut butters but this one tasted great, it had a great texture, wasn’t too lumpy and tasted really good. The lovely guy at the stand said that the smooth formula still contains all the natural oils and was only ran through the processor twice, therefore it still contained it’s thickness and when turned upside down it wasn’t runny like most smooth peanut butters. 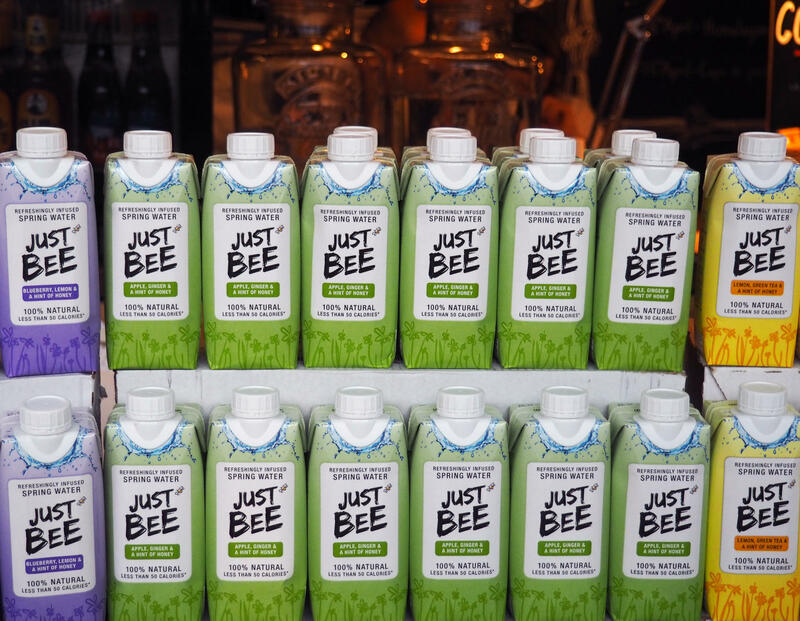 My second favourite brand from the night, Just Bee is a refreshing twist on original spring water. It is 100% natural and has less than 60 calories. They have three different flavours, Blueberry, Apple&Ginger and Lemon&Green Tea. All of the products have a hint of honey but this just adds sweetness. This is a great alternative to normal water as it gives an extra refreshing sweet taste. I tried the Blueberry flavour and it was so nice, I’ve already finished the bottle I was given. Just Bee are also rebranding and their new design isn’t as bright but has a more sophisticated and mature vibe, can’t wait for them to release it. 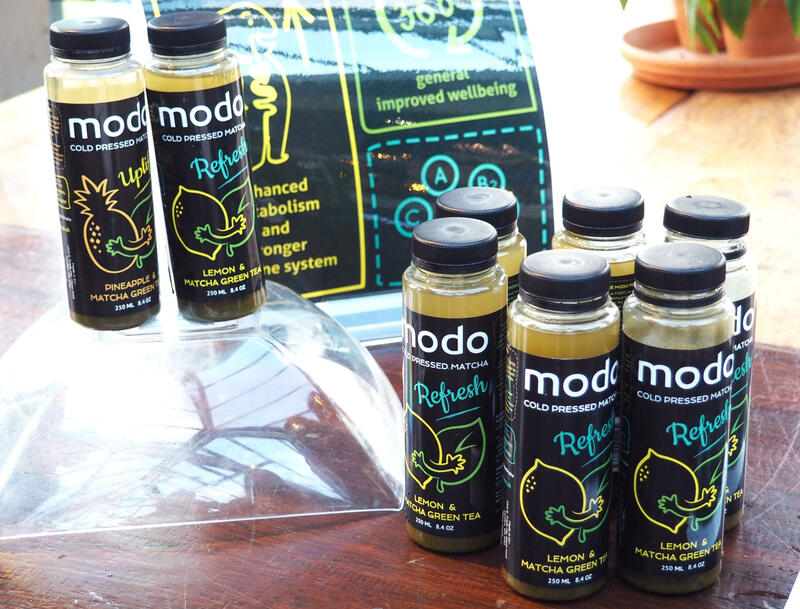 Modo are a cold pressed matcha green tea brand, they have Lemon and Pineapple flavours. These are great and come with a tonne of health benefits, however I wasn’t so keen on the lemon flavour, which is very surprising because I normally hate anything to do with pineapples. This drink was really sweet and refreshing and I’m trying to drink more green tea so this is a great way of adding it in to your diet. Before the event I made a tweet asking if anyone else was attending because I was well aware that I wouldn’t know anyone and I was really nervous about that. 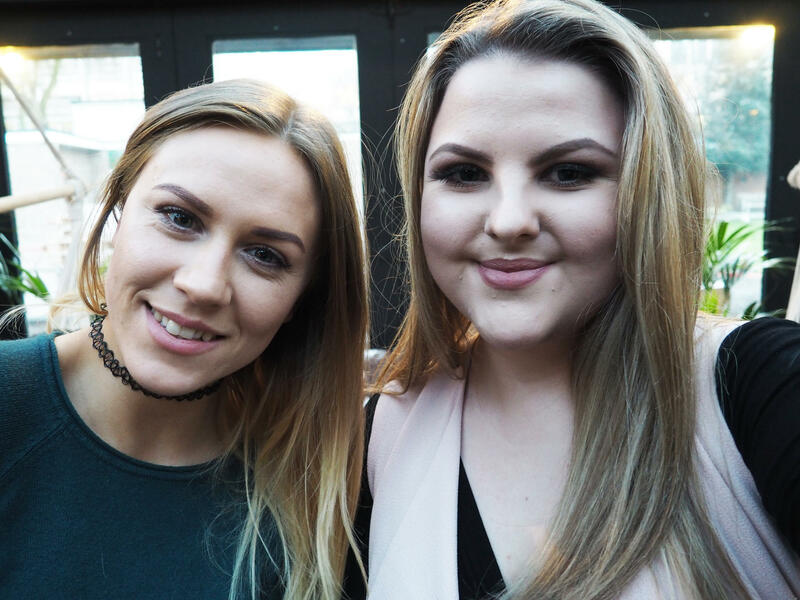 However I managed to meet up with another lovely blogger, Robyn. She was super nice and it was also her first event, you can check out her blog here.